All thermostats work via the same principle. Through either mechanical or electrical means, the thermostat measures the ambient air temperature in your home and compares it to the temperature you have set as your desired comfort level. During the summer, if your set point is below the ambient temperature, your thermostat will trigger your air conditioning or heat pump system to cool your home until the right level is reached. Similarly, your thermostat will trigger your furnace, boiler, or heat pump if your home’s temperature is less than your desired set point in the winter. Using your thermostat, you can adjust your home comfort level at any time; modern thermostats may have additional settings if you have extra components installed in your HVAC system, such as a humidifier or air purification system, allowing you to control these functions as well. Regardless of the type of thermostat you have installed, it should be placed in an area of your home free from direct sunlight and drafts, as well as other sources of heating and cooling. This allows your thermostat to get the most accurate reading of the ambient air temperature and prompt your HVAC system properly for greater efficiency. Because your thermostat is the only interface with your HVAC system, using it effectively is the key to better energy savings and lower heating and cooling system stress. Adjusting your thermostat to reduce heating or cooling by just a few degrees while you are asleep or away from home is a significant step toward lowering your home’s energy consumption. While you are awake and active at home, keeping your thermostat set at the warmest temperature in summer and coldest temperature in winter at which you are comfortable is another effective way to minimize energy costs and prolong HVAC system longevity. Older manual thermostats require you to adjust the temperature via the thermostat every time you wish to make a change; newer programmable thermostats allow you to create heating and cooling programs ahead of time that will be executed throughout the week, based on your schedule. Making use of a programmable thermostat is often more effective than manually adjusting the temperature, as you cannot forget to turn your HVAC system on or off. Wireless thermostats allow access to your heating and cooling controls from anywhere via the internet, improving control further by letting you make changes even while you are away from home to accommodate changing weather or scheduling plans. Today’s thermostat technology is designed to make heating and cooling your home easier and more efficient than ever before. If you have questions about home efficiency, heating and cooling, or thermostat control, our experienced technicians can help you evaluate your home and install the best thermostat for daily convenience and energy savings. 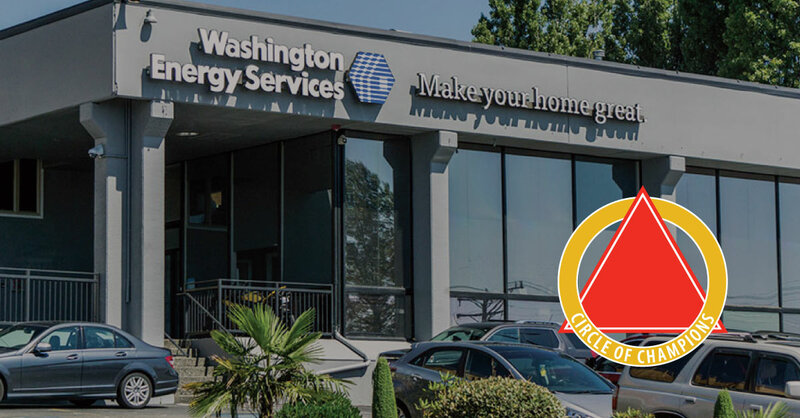 Contact us today to schedule an appointment and let Washington Energy Services install a modern thermostat in your home this winter.